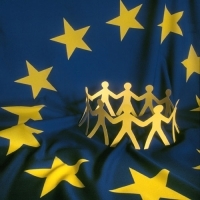 Last year, major initiatives regarding the social dimension of the European Union have been launched, notably the proclamation of the European Pillar of Social Rights in Gothenburg in November. Thus, 2017 might mark a turning point in the development of the social dimension of European integration. These initiatives signal the emergence of a new paradigm, but the jury is still out about its real and lasting impact. Next to the imperative to translate the solemn declaration of Gothenburg into tangible measures, the debate on social Europe remains handicapped by confusion and contradictory views about the role the Union should play in social policy. Therefore, in the first part of this paper we briefly explain why a social dimension has become a necessity for the European Union, even though the Union has no vocation to become a Welfare State. In the following sections, we identify three areas in which concrete action by the Union is necessary: promoting upward convergence in social standards and performance; guaranteeing fair mobility; and making investment in human capital a leitmotif of European action. Both the Single Market and the Monetary Union require a social dimension to function well. Admittedly, this argument is not new. Already in the 1990's, the introduction of the European Employment Strategy was justified by the advent of the Monetary Union. At that time, the emphasis was put on flexibility in labour markets; meanwhile, we learned that a monetary union also needs labour market institutions that support stability. The combination of adequate flexibility and an effective capacity for stabilisation creates a quality of national welfare states which is best captured by the notion of "resilience". Resilience, so conceived, is a matter of common interest for all countries in the euro area: the resilience of each individual Member State contributes to the stability of the whole. This implies a degree of convergence, which is not synonymous to harmonisation. Moreover, whilst convergence is needed with regard to some key features of national Welfare States, it is not needed in all domains of social policy. The argument that the Single Market needs a social dimension has an even longer history: it dates back to the 1980's. Gradually, social initiatives were developed as a corollary to the Single Market, but they remained uneven and limited. As the heterogeneity between Member States increased dramatically with enlargement, a social dimension is now imperative. Trade and competition should not lead to downward pressure on the social standards of the most advanced countries. Although in the past the spectre of large-scale social dumping has never materialized, in the enlarged European Union of today blatant cases of illegal working conditions and exploitation do occur, resulting from the interplay of lacunae in the domestic implementation of social and employment protection in the member states, reduced legal sovereignty of the Member states, and the absence of common social standards in a very heterogeneous entity. We must answer this challenge. It is also necessary to reconcile the free movement of people with the internal social cohesion of our welfare states, both in the countries of origin as well as the host countries. Our argument goes beyond the mere "functional requirements" of the Monetary Union and the Single Market in abstracto. These two projects must serve the fundamental aspiration of the European project, that is, to promote both upward convergence between the Member States and cohesion within the States. Hence, the challenge is not just to define "a level playing field"; the challenge is to create the conditions for effective upward social convergence. Of course, the structural funds and cohesion policy remain crucial instruments to promote upward convergence. But the Member States' social policy is just as important. A vital condition for convergence across the European Union is upward convergence in the quality of their human capital. We need adequate education and training policies in each and every Member State. But there is more: income inequality reduces the ability of the poorest segments of the population to invest in their education and their skills..Therefore, reducing inequalities between families with children and investing in child care and education are mutually reinforcing policies that contribute both to national social cohesion and to convergence at the European level. Such 'social investment policies' are a matter of common interest for Europe; they should be at the heart of the Union's social priorities. In a context of rising populism and Euroscepticism, a credible social dimension is imperative to strengthen the political legitimacy of the European project. Citizens legitimately expect that European integration provides them with improvements in their living and working conditions; the European Union must rise to that challenge. On the base of these arguments we defend the need for a "European Social Union". But a Social Union is not a European Welfare State; it creates an environment that facilitates and supports the development of national Welfare States. A Social Union respects the Member States' diversity whilst taking supranational initiatives and defining common guidelines in key policy areas. To succeed, we need to establish clear priorities: a short list that would implemented in full is preferable to a long list of good intentions that are reluctantly implemented. In this spirit, we present three priorities, to be developed in close collaboration with social partners. The European Pillar of Social Rights is the way to follow if we want to reconnect with the aspiration of upward convergence. This set of 20 principles addresses all Member States, but it was notably conceived for the Monetary Union. The concern with the stability of the Eurozone entails a cluster of policy principles to sustain an effective stabilisation capacity in each Member State: sufficiently generous unemployment benefits, notably in the short-term; sufficient coverage rates of unemployment benefit schemes; no labour market segmentation that leaves part of the labour force poorly insured against unemployment; no proliferation of employment relations that are not integrated into systems of social insurance; effective activation of unemployed individuals. These principles are part and parcel of the Pillar that was adopted by the 28 Member States in Gothenburg. However, the principles of the Pillar are relevant to all Member States, with a view to avoiding social dumping and organizing upward convergence in the Single Market (think about the need for fair minimum wages, which is also addressed by the Pillar). The Pillar therefore represents a positive step forward, even though, simultaneously, the initiative creates a huge risk. As such, the principles are non-binding for the Member States; if the Union cannot guarantee that they are turned into concrete achievements, the initiative will only increase existing frustrations amongst citizens and have the opposite effect than the one expected. The Commission must present a roadmap for the implementation of the principles, including, where appropriate, legislation on new rights. The proposal for a recommendation from the European Commission on access to social protection for all workers (including independent workers and those working in the gig-economy) is a positive step forward in this context. Equipping the euro area with a macro-economic stabilization capacity, which might take the shape of a re-insurance of national unemployment benefit schemes, would make it possible to contain the risk of future crises leading to increased social divergence among the member states. The stability of the euro zone also demands a certain stability in the development of wages: in all Member States, the development of wages must follow the long-term development of productivity, which also implies that the share of wage in the national revenue is stable. The need for wage coordination high-lights the importance of coordinated collective negotiation and of social dialogue. How can we deliver on the promise contained in the Pillar? To foster convergence in the countries' social performance the Union has three instruments: legislation, the coordination of social and employment policies and financial support. Regarding financial support, there are different ways to complete the existing tools. For example in 2013 Jacques Delors suggested a new budgetary instrument for the euro zone—a kind of "super cohesion fund". This fund could contribute to the financing of vocational training of the unemployed in countries in which unemployment surpasses a certain level. The crux is that the complementarity between the various European instruments is optimised and that Member States do not just receive messages of encouragement but real support. Free movement is an important individual right for the citizens of Europe. This right has to be defended; Europeans consider it as one of the main benefits of European integration. However, the fears of social dumping and benefit tourism which are today frequently associated with intra-European mobility feed scepticism about Europe. If we want European public opinion to accept and support it, intra-EU mobility must fit in a well-regulated social order, and not weaken it. This requires improvements in the applicable European legislation, but, even more importantly, effective action against illegal situations, abuse and fraud. In this context, the revision of the posted workers directive will provide a necessary improvement to the regulatory framework. Posted workers are protected by a set of core rights as defined in the host country's labour law, but they remain covered by the social security system of their home country where they pay their social contributions; this particular status creates tensions vis-à-vis the social fabric of the host country. Twenty years after the adoption of the Posted Workers Directive, a revision of the rules on posting was needed, without however challenging the underlying principle of posting. In the context of short-term cross-border service delivery, one cannot ask posted workers and their employers to pay social contributions from the very first day in the host country; an exceptional system is required in which for a limited period of time (18 months maximum according to the new directive adopted in June 2018) social contributions are paid in the country of origin. But the clarifications introduced by the revised directive with regard to the remuneration of posted workers constitute a significant improvement, with a view to implement the principle of "equal pay for equal work in the same place". Better rules are necessary but not sufficient to guarantee fair mobility in the European Union; to prevent abuse and fraud, the legislation has to be respected in practice. It is the responsibility of the national authorities to ensure the enforcement of European rules. However, this argument must not relieve the Commission of all responsibility in this area. In 2016, the Commission launched the European Platform Tackling Undeclared work and announced, in March 2018, the creation of a European Labour Authority. The aim of the latter would not be to create a European Labour Inspectorate; its role would be to facilitate and coordinate exchanges between the national authorities and to support their work. However, supporting inspectorates should only be one of the two tasks of the future European Labour Authority. Although it is important to guarantee fair mobility, it is as important to facilitate transnational mobility, by providing a better access to job offers all-over Europe, by giving information on working conditions in each Member State, by guaranteeing the automatic recognition of diplomas and by ensuring the portability of social rights. The second task of this authority would therefore be to support cross-border mobility (for instance via a one-stop-shop for mobile citizens and businesses). Fair mobility is not about limiting intra-European mobility: the aim is to guarantee that mobility takes place in good conditions, both for mobile workers and for non-mobile citizens in the host country. Finally, problems created by mobility in the countries of origin deserve as much attention as those created in host countries. Although our public debate is mainly focused on the host countries, mobility is probably a more serious challenge for the countries of origin. Given that leavers are often young people, massive emigration can exacerbate problems of ageing and the sustainability of social protection. The loss of young highly qualified people may create yet other challenges, such as an impairment of innovative capacities needed to sustain economic growth. Hence the importance of promoting real economic and social convergence in the Union, and the continued relevance of Cohesion Policy; as they develop, the poorer Member States will gradually become less dependent on emigration. The EU has been investing in Europe's human capital from day one. Over the years, the European Social Fund, set up in 1957, has been complemented by new funds and schemes such as, for example, the Erasmus programme and the European Globalisation Adjustment Fund (EGF). The need to improve workers' productivity and adaptability in the face of globalisation and digital transition underscores the imperative of investment in human capital. Making it one of the leitmotifs of the Union's social action would bring numerous benefits. Beyond the immediate social benefits, it would contribute to countries' economic performance and it benefit the Europe-an Union politically: the image of a Union that serves its citizens would be strengthened. Investment in human capital should be a core priority in the upcoming negotiation of the European multi-annual financial framework. The budget of the programme Erasmus+ should continue to grow so as to include as many young people as possible: more university students but also other target audiences, notably apprentices. The EGF currently provides support to people losing their jobs as a result of major structural changes in world trade patterns due to globalisation or as a result of the recent crisis. Its field of intervention and its means should be extended so that it can answer new challenges, such as the energy transition which creates many jobs but destroys others. This European agenda must also include a reinforcement of the 'human capital' strand of the Juncker Plan. The financial instruments of the Juncker Plan currently suffer from insufficient promotion and visibility amongst social actors; social actors do not yet consider this instrument as useful for financing loans for social projects. Advisory platforms must play a pro-active role to better target these actors and to respond to their specific requirements more effectively. For the post-2020 period, a third pillar should be added to the European Fund for Strategic Investments (EFSI), devoted to investment in human capital, in addition to the two pillars devoted to infrastructures/innovation and SMEs. Also, a new evaluation framework is needed to better take into account the projects' social returns (using social indicators like the acquisition of skills or social inclusion). The European Union must increase its in-vestment in human capital, but it must also be a driver to enhance the investment of each country in its human capital. In 2013, the Commission launched a series of measures to stimulate "social investments" in the Member States, focusing on investment in human capital over the whole life-cycle: we have to reconnect with this initiative. This priority must also be visible in European economic governance, notably the Country Specific Recommendations (CSR) and fiscal surveillance. The Commission must insist on measures promoting the development of human capital, such as increasing pre-primary school enrolment rates or the development of apprenticeships. And to ensure that Europe's action is consistent and offers incentives to national governments, the Commission's fiscal surveillance should take into account the measures adopted by countries to respond to such European recommendations, just as it has done with other structural reforms. Countries needing most progress in their human capital are often those with the smallest budgetary margins. Rebalancing the economic and social dimensions of the European project is imperative, both for functional reasons and to increase Union's political legitimacy. Europeans expect the integration project to help improve their living and working conditions; Europe must meet these expectations. To this end, the solemn proclamation of the European Pillar of Social Rights must now be translated into tangible initiatives. If the Union does not deliver on the promise enshrined in the Pillar, the initiative will backfire and create frustration. In order to succeed, we must establish well-de-fined priorities in three key areas: promoting upward convergence in social standards and performance; guaranteeing fair mobility; and investing in human capital. This paper does not address tax issues, but promoting fiscal convergence is a crucial issue, given the need to provide adequate funding for national Welfare States. On this issue and on the wider question of the EU's internal cohesion, see Thierry Chopin et al "Strengthening the EMU's internal cohesion: a comprehensive strategy," European Issue, n° 447, Schuman Foundation, 16 October 2017. See the OECD, In it together. Why less Inequality benefits all, Paris, 2015. The idea of a European Social Union is developed in F. Vandenbroucke, C. Barnard and G. De Baere (eds. ), A European Social Union after the Crisis, Cambridge: Cambridge University Press, 2017. Frank Vandenbroucke, 'Risk Reduction, Risk Sharing and Moral Hazard: A Vaccination Metaphor', in Intereconomics, volume 52, n°3, May/June 2017, 154-159. Sofia Fernandes, 'What is our ambition for the European Labour Authority? ', Policy paper n°219, Jacques Delors Institute, 8 March 2018. See Sofia Fernandes, "Social investment and Juncker Plan", Jacques Delors Institute, July 2017.